Home / Latest / What Ever Happened to Pele Sports? 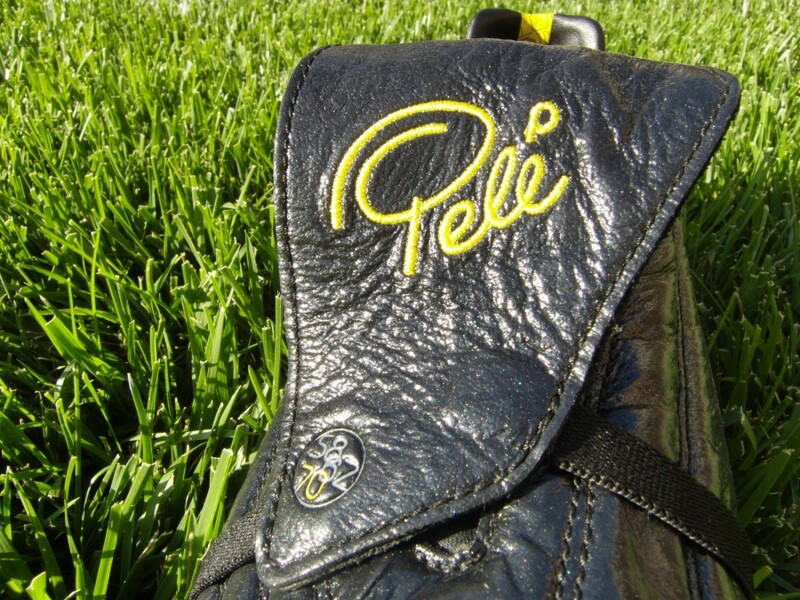 What Ever Happened to Pele Sports? A pretty common question we have been getting of late is what happened to Pele Sports? The brand hit the market in a blaze of glory with boot releases like the Trinity 3E and a really awesome lifestyle collection. With the World Cup set for Brazil, Pele as a lead ambassador for the brand and all the fundamentals in place to make a lasting impression on the market, they simply up and disappeared. Why? We really can’t answer the why question but we can tell you that the brand is currently in a “holding pattern”, something they openly acknowledged to us earlier this year. Rather than completely shutting up shop, they have stopped selling boots and cut their workforce, thus leaving the bones of the company still intact (including their website) for any possible future move. In other words, there is no Pele Sports right now, but that doesn’t mean they won’t return at some point in the future. Given the fact that they didn’t invest in what would have been the perfect platform for the brand in Brazil this past summer, it seems slim that they will return. For many of you trying to contact the company, this has proved to be an absolute headache. As it stands, you are not likely to receive any response from Pele Sports and as such your busted boots are not going to be replaced. It is a case of having to move on and accepting your loss. With a lot of Pele Sports gear still available on the market, this has proved to be another challenge as players decide whether they should look to get their hands on discounted gear or move on. Simply put, if the price is right and you acknowledge the fact there is no return policy, then you should consider getting your hands on the remaining quality stock. Where can you still get the gear? Head to Pele Sports on Amazon and I highly recommend picking up a pair of Pele Sports 1962 for a pretty awesome price of $25 + free shipping. They are a quality pair of back-up boots and they are durable enough to sustain a full season of rough play without busting apart, for the price you should definitely consider them a decent investment! One other note if you get a pair, order a half size down from your regular size – they fit much longer than a traditional boot. In other words, if you are regularly a 9US order an 8.5US. 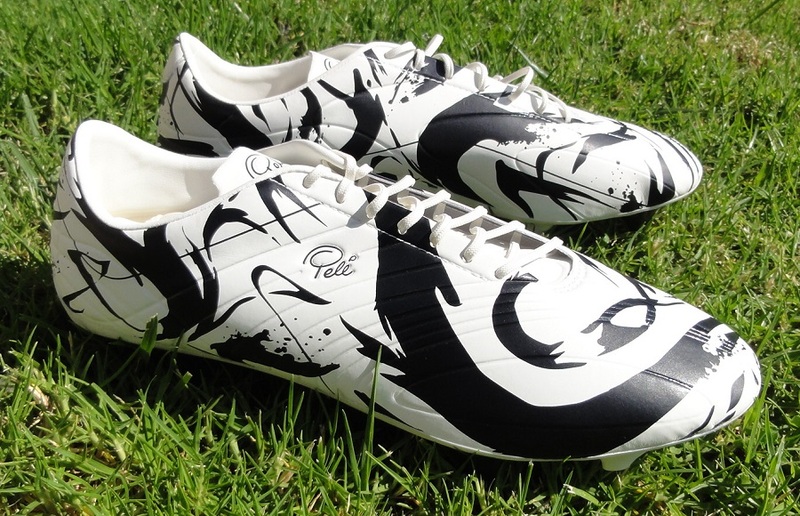 Finally, as we place Pele Sports to the side for a while, I wanted to relive my favorite release they brought us – the Trinity SheOne. It was a bold move by the brand bringing us such an artistic release so early on, but it set a statement and sent a ripple of shockwaves through the industry, something you have to give them props for. Wow this is sad, I thought there were doing some good things. I bought a pair of Trinity’s and they were great boots, I know they had some durability issues but that could have been improved. Unfortunately people wont give other brands a chance and I guess this is why they closed shop, a shame. They don’t seem to deliver to europe do they? Or am I wroong thinking that I could buy some quality boots? I really love Pele and the way he contributed to the development of football in the world. A wonderful man. I work as a writer in rewarded essays and I wrote more than one article about how Pele became great.